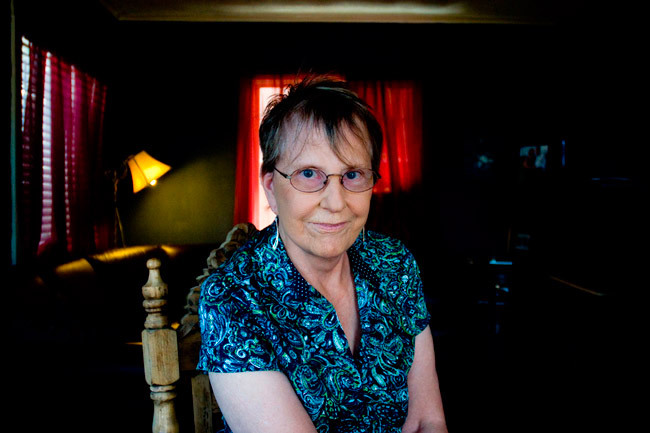 Rae Armantrout, born in California in 1947, is part of the first generation of West Coast Language poets. Armantrout has published several books of poetry, including: Versed (2009), which earned the Pulitzer Prize in 2010; Next Life (2007), selected by The New York Times as one of the most notable books of 2007; Up to Speed (2004), a finalist for the PEN USA Award in Poetry; Veil: New and Selected Poems (2001), also a finalist for the PEN Center USA Award; The Pretext (2001); Made to Seem (1995); and The Invention of Hunger (1979). Her latest collection of poetry, Money Shot, was published in 2011. Rae Armantrout is a Professor of Poetry and Poetics at the University of California, San Diego. But light is violent and weightless. Melissa Bull: This excerpt of ”Across,” in Money Shot, both ontological and scientific, is, I think a good example of the clear, inclusive, inquisitive eye you give any range of subjects — physics, religion, books — in your work. How intentional are the subjects of your poems? Do your subjects surprise you? Poetry as commentary? Poetry as conversation? Rae Armantrout: I do see poetry, or my poetry anyway, as a kind of listening, though I’m never entirely sure what I’m listening for. I just try to go through life with one ear open, as it were. (Unfortunate metaphor!) For instance, I’ve seen bad movies that have generated poems. When something I hear or read or see leaves me with an unresolved feeling or leaves me puzzled, I’ve learned that I can follow that feeling or that puzzlement into what turns out to be a poem. You mention physics as a subject that comes into my work. I almost have to limit how many physics books I can allow myself to read because a good one is almost certain to leave me with the kind of astonishment that will provoke several poems – and I don’t want my books to be all about my reaction to modern physics! I’m not trying to say that I have a really sophisticated understanding of that subject, by the way. Feelings and thoughts aren’t separate for me. Sometimes poems come out of what I feel or visualize while I read books on science – and what I’m visualizing is only tangentially related to what the author means. And, yes, my poems do surprise me. I think most poets will say that, when they start a poem, they don’t know where or how it’s going to end. William Carlos Williams said, “The poet thinks with his poem.” That’s true for me. If I’d already seen the end, I wouldn’t make the trip. MB: Although you do make use of punctuation in your work, the period is often absent at the end of a poem. How do you view the narrative properties of the period or lack thereof? It seems, sometimes, as though you are leaving room for silence, a beat of silence, or a breath. RA: Sometimes I do use a final period and sometimes I don’t. Often my poems begin and end in uncertainty and the lack of a final period might signal that. The absence of the period may mean that I know there’s more to say but I’m not going to try to say everything. At other times, I seem to want a more definite closure. Sometimes, though, a definitive looking statement at the end should be taken with a grain of salt. The imagined speaker, after all, might be someone other than me. And even if it is, in some sense me, I am not always reliable. MB: Your line breaks are one of your signature trademarks. Who, if anyone, influenced the way you think of breaking up your lines? How do you view your lines versus the page? RA: I suppose I was influenced by the line breaks of some of my favorite poets such as William Carlos Williams, Robert Creeley, and Lorine Niedecker. Also, my mother read me poetry when I was a kid and she tended to pick things like ”The Midnight Ride of Paul Revere.” So when I first started trying to write, my poems tended to sound like that. I needed to intervene and I found I could break out of that pattern by using a short line. As time went on, of course, I saw that you can create surprise and suspense or emphasis, etc. through the way you use line breaks. That’s what someone like Williams does. I like poems best when you can’t quite tell what’s going to happen in the next line. If I can’t get any useful surprise or double meaning or at least emphasis out of line breaks, then I will move to a prose format. I do occasionally write prose poems. MB: You’re part of the first generation of Language Poets. Is this community as important to your work now as it may once have been? RA: Well, any art is part of a particular context. I think groups of young poets give one another permission. They can also challenge one another. A localized poetry community can be like a family. Family isn’t all sweetness and light, but that’s where we learn to be human. I think it’s especially important to assert the importance of communities now at a time when there is so much pressure towards privatization in our politics – at least in the U.S. President Obama was absolutely right when he said that, whatever you achieved or built, you didn’t build it all alone, though, as you know, the right lambasted him for saying so. I am still in frequent contact with some of the original west coast “language writers.” Not so much with others. I think that’s natural. But if that group hadn’t formed and I hadn’t been part of it, my life would have been very different. Armantrout will read at Concordia University on October 5th, at 7pm. Erin Moure will introduce.